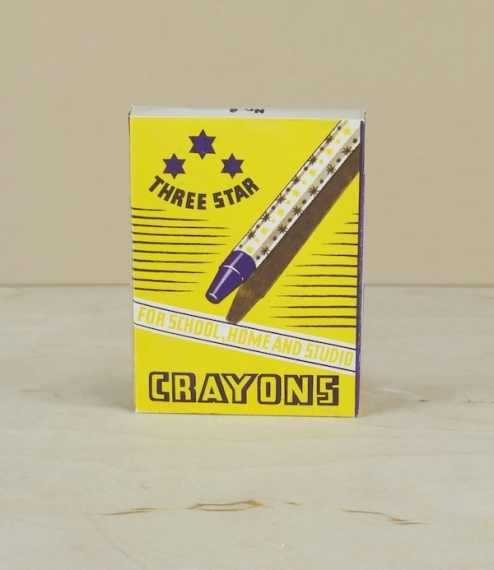 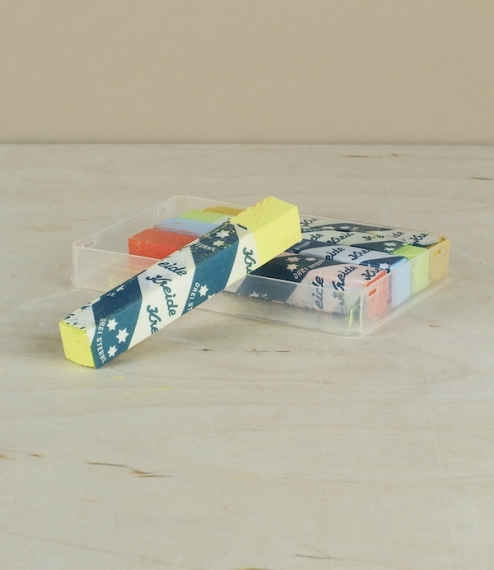 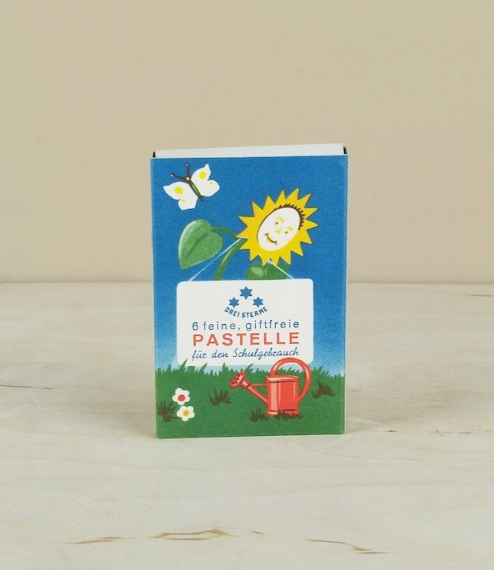 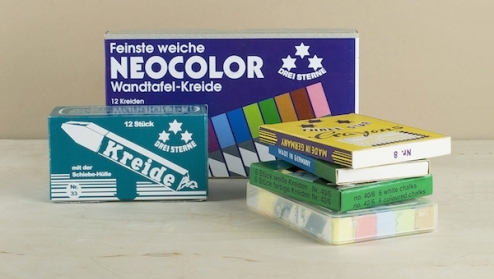 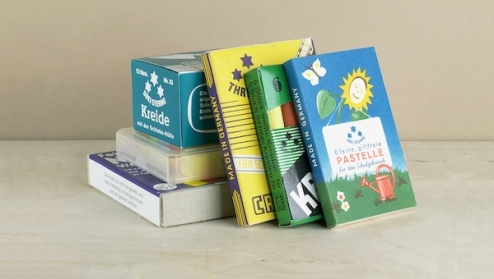 A box of 12 square sawn coloured school chalks, with special paper sleeves which protects fingers from dust and smudges. 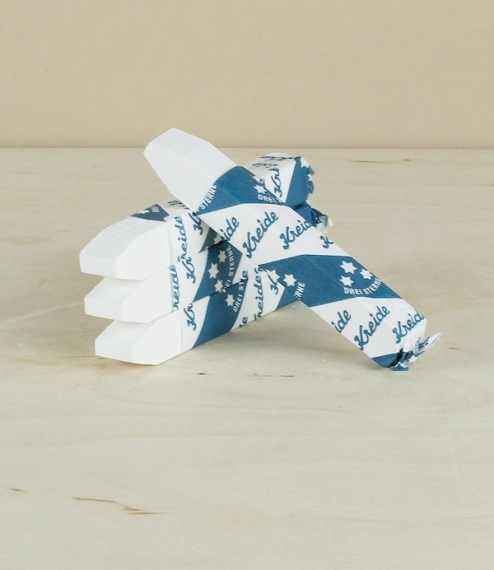 The paper is loose and intended to be withdrawn as the chalk is worn away - the end being twisted to keep it in place. 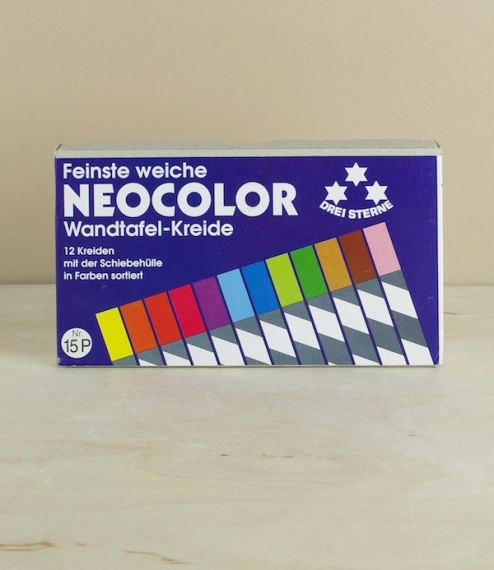 Anton Franz Mörtel founded his chalk factory in 1870, but it was in the 1920's that the smooth stone free dustless chalk was introduced, of which this is the coloured version, with a high loading of good quality, non-toxic pigments.